October 19 at 6:00 p.m.
Are you ready to discover a career of challenge and reward? The Boston Consulting Group is the world’s leading advisor on business strategy and the pioneer of strategy consulting. 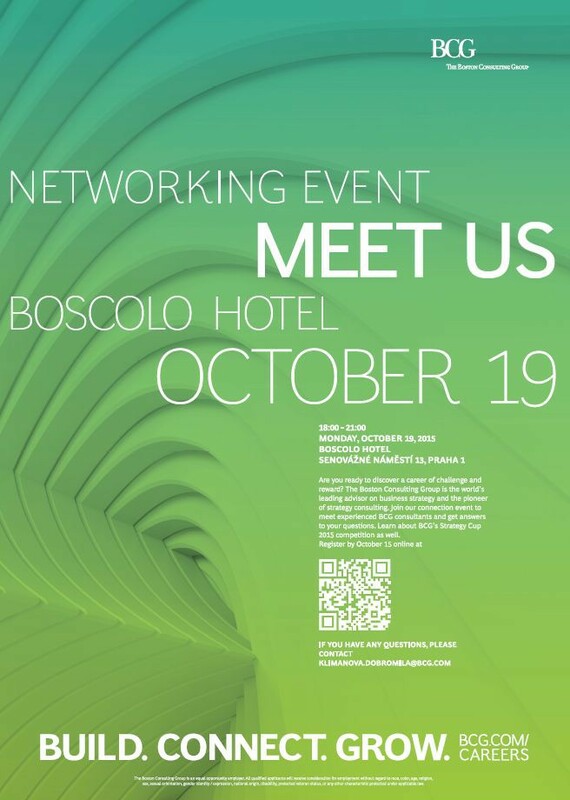 Join our connection event to meet experienced BCG consultants and get answers to your questions. Learn about BCG’s Strategy Cup 2015 competition as well. Together we will develop the best in you.